Native to Campania, the Fiano grape (in its DOCG appellation Fiano di Avellino) is grown on the volcanic slopes in around the commune of Avellino. This is an area that has a climate comparable to that of Piedmont, which produces some of Italy’s finest white wines. Given Avellino’s relative proximity to Naples and the Amalfi Coast, conditions here are quite different from those of its coastal neighbours: it has much cooler average temperatures (thanks to the impinging Apennines), greater elevations and mineral-rich volcanic soils that produce some world-class vintages. 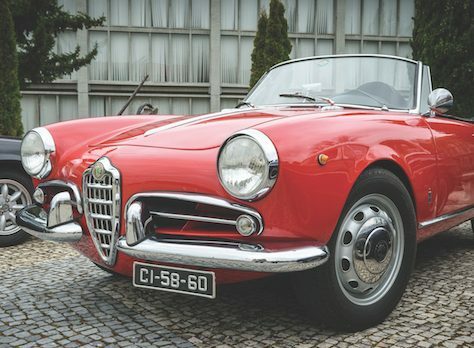 It enjoys a fame that has grown well beyond the borders of Italy thanks to its fresh, intense flavour, which has proved popular to a wider international audience, and benefits from an accessible entry price point. In Campania they call Fiano (along with Greco di Tufo and Falanghina), ‘archaeological grapes’; they are part of a heritage that goes back to the ancient Greeks, who originally brought the Fiano grape to Italy. Vitis Apiana (bee’s vine) is its Latin name, as bees are particularly fond of the grape’s sweetness. Cultivated further afield in Puglia and Sicily too, we have some examples below. While these wines may not have the pedigree of their venerated Campania cousins, they have many of the same characteristics: aromatic, rich, with hints of honey, nuts and a crisp, minerally finish. From Taurasi, in the heart of the Fiano di Avellino DOCG area, this full-bodied wine is a shining star. Golden-yellow in the glass, with complex aromas of fresh green apple and sweeter tropical fruit, on the palate there’s juicy peach and pineapple. The honeyed note in the finish is tempered by a crisp minerality and well-balanced acidity. A cheeky little curveball here, as this Fiano comes from Salento, which is of course in Puglia. The limestone soil and cooling breezes from the Ionian Sea combine with the sunny climate to produce a very drinkable straw-coloured wine with sharp citrus notes, sweeter tropical fruits, and a pleasing minerality in the finish. It is well-rounded with an intense depth of flavour, but it’s still quite dry on the palate, with just enough acidity to provide a refreshing snap in the delicious finish. La Rivolta vineyards are in the mountainous province of Benevento in the tiny DOCG region of Taburno. A real southern star, this is an elegant organic white with aromas of ripe white stone fruit, herbs and honey. On the tongue it is zesty and juicy with pear, nectarine, spicy ginger and toasted hazelnut alongside a crisp acidity. With its fruity flavours and relaxed style, this is a complex and finely balanced wine to drink on its own or with food. Pair with: Delicate seafood pasta dishes, shellfish, mild soft cheeses, or just on its own! 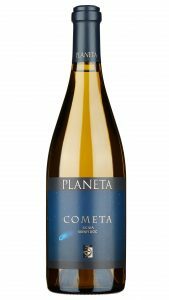 Planeta is a name synonymous with top-class Sicilian wine production and this stylish, high-octane (14 per cent ABV) Fiano grown on the southern slopes of Sicily is one of their very best. Intensely fragrant with zesty tangerine, sweet peach and wild thyme, it deepens on the palate with pine nuts, ripe pear, lime and even a hint of mint. Yes, it’s expensive, but it’s absolutely delicious and perfect for a special occasion. Drink now or keep for a few years if you can resist! 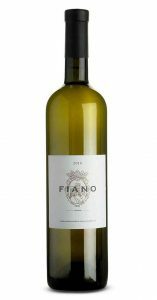 This fresh-tasting Fiano hails from Sannio in Benevento, where local winemaker Marco Giulioli works alongside oenologist Dr Riccardo Cotarella to produce this delicately pale yellow offering. Like a little breath of spring, its apple and pear bouquet heralds more complex flavours on the palate, with juicy passion fruit and a crisp, clean finish. This is a real crowd pleaser equally at home with or without food. The Fiano grapes for this wine are harvested manually from the Militerni vineyards in the Avellino zone. Straw-coloured in the glass with a green hue, this wine has a delicate bouquet of pears and green apples. These fresh flavours persist on the palate with a hint of honeyed sweetness and juicy melon. Well-balanced with a backbone of acidity which tempers the sweeter notes. Serve chilled as an aperitivo or with food.